Check out these handy hints for trying different transport modes. There are a whole range of bikes to suit every need – the trick is to match your bike to the regular journey you want to make. Check out this advice on the Sustrans website. Some employers offer the Cycle to Work Scheme as a way of enabling employees to access new bikes at a discounted rate and paid for in installments, check to see if your employer offers this. Road bikes are fast and light, but new riders can sometimes find the seating position restrictive. A mountain bike may be sturdier and has a more sit-up-and-beg riding position, but be sure to put on slick tyres if you’re riding on the road! A hybrid is a compromise between the two – a lightweight frame but an upright riding position. Folding bikes are increasingly popular, and modern versions are comfortable and efficient. The smaller wheels can make hills hard work though! At the other end of the scale, electrically assisted bikes take the effort out of even longer commuting trips. Check out this advice on the Sustrans webite. It’s too far for me to walk or cycle to work! You may be surprised how far you can comfortably cycle. If the trip still seems daunting though, why not compromise by walking or cycling to a bus stop or train station? This is a great way of incorporating some active travel into your daily commute. Check out this great advise on combining cycling and rail travel or this general advice on cycling your commute. But I need to take the kids to school! Nearly 50% of children would like to cycle to school, but only 4% do. If your kids are old enough, you could try walking or cycling together for your local journeys before trying the journey to school. There is plenty of advice on the Sustrans website, including lots of information and practical activities for schools in Wales to download. I'm used to driving and don't know the best way to walk or cycle. Easy! Click here for help planning your route. Enter your home postcode and a map will appear showing you local walking and bike routes, bus stops and stations, so you can find your way. 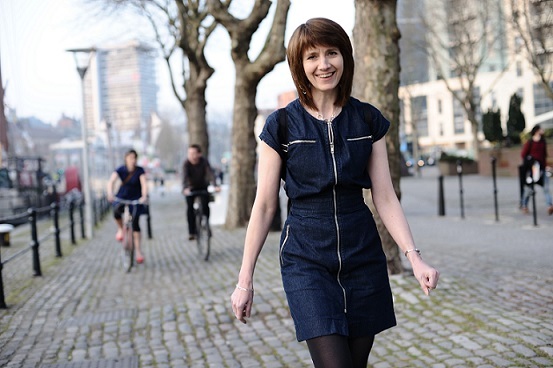 It’s worth remembering that you will rarely have to bike down that really busy road you drive along – there’s always another way. 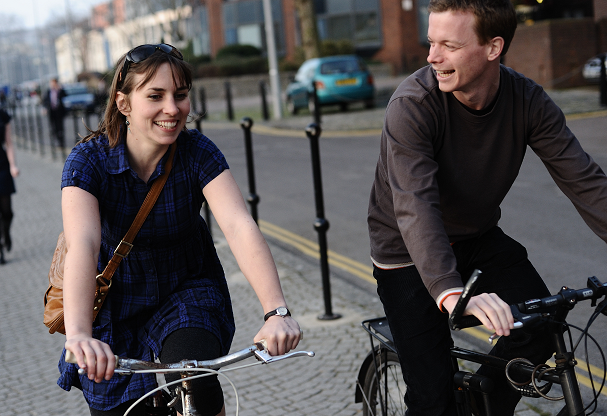 Weekends are a good time to get out and trial a route – it’s less busy – or call that friend of yours who cycles (you’re bound to know one) and ask them to come on your path-finding mission with you.